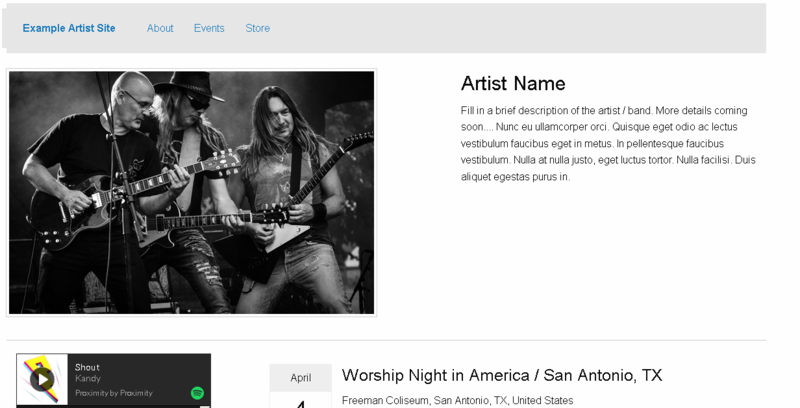 Website template for a band / artist. Edit the site to fit your needs. This template is under zlib license, which means this is provided 'as-is' and the authors are not liable for any damages that may arise. Please see the full license for more details.